The Ministry of Home Affairs has also issued Ahmed a leave India notice and blacklisted him. The Ministry of Home Affairs on Tuesday cancelled the business visa granted to Bangladeshi actor Ferdous Ahmed who campaigned in West Bengal for ruling Trinamool Congress, reports said. Ahmed has been asked to leave India and has been blacklisted. The MHA has directed Foreigners Regional Registration Office in Kolkata to ensure compliance of these orders. Earlier in the day, the MHA had sought a detailed report on whether Ahmed had violated visa conditions by allegedly participating in campaigning. 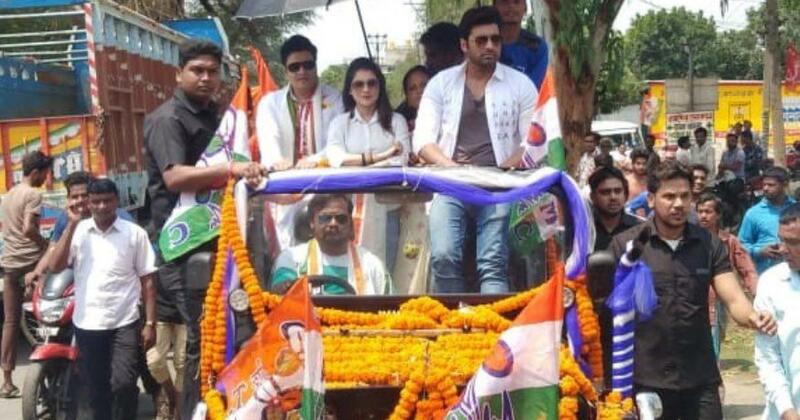 The Bangladeshi film star was seen seeking votes for TMC’s Raiganj candidate Kanhaiyalal Agarwal. Ahmed addressed rallies across Hemtabad and Karandighi near the Indo-Bangladesh border. He also took part in a road show along with other Tollywood actors. The National Register of Citizens has been an extremely controversial matter, with many saying they have been unfairly left out of the citizenship lists, while the BJP has touted the move as strong action against “infiltrators”. The BJP’s manifesto proposes to “implement the NRC in a phased manner in other parts of the country”. BJP’s general secretary in charge of West Bengal Kailash Vijayvargiya claimed Bangladeshis were asked to campaign because the TMC was losing ground in the state. “It is shameful to see Mamataji roping in Bangladeshi actors as she’s not finding anyone in India to do her work,” he said, according to ABP News. The TMC defended itself and said anyone can campaign for any political party. “If they say we were trying to woo minorities, then I would like to question who they were targeting by taking out rallies with arms in Ram Navami procession,” an unidentified TMC leader told The Indian Express. Raiganj is in North Dinajpur district, which has a sizeable population of minorities. It used to be the bastion of the Congress and its leader Priya Ranjan Das Munshi. In Raiganj this time, Trinamool’s Kanhaiyalal Agarwal will contest against Congress’ Deepa Das Munshi, CPM’s Mohammad Salim, and Debasree Chaudhuri of the BJP. Raiganj will vote on April 18.